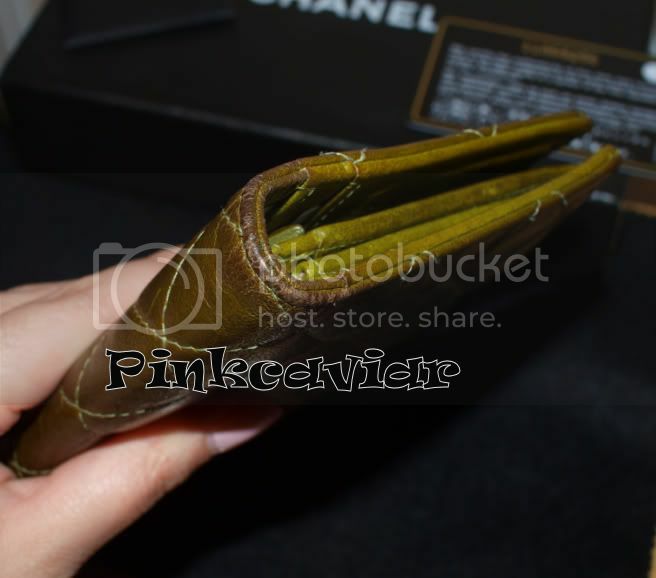 Up for auction is ONE(1) Preowned Quilted Glazed wallet made of exotic Llama instead of lambskin. Discontinued and no longer available! Rare color! Sort of a green with marbling texture. 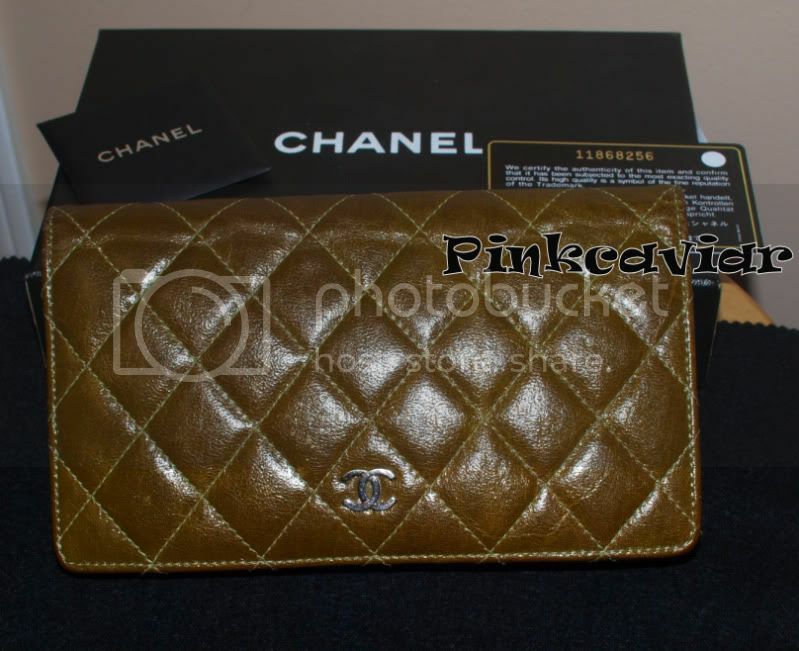 100% guaranteed Authentic, you have it authenticated on TPF, purchased by me directly from the Chanel Boutique. Measures: Approximately 7" x 4"
Condition: Wallet is preowned and shows signs of imperfections from natural use. 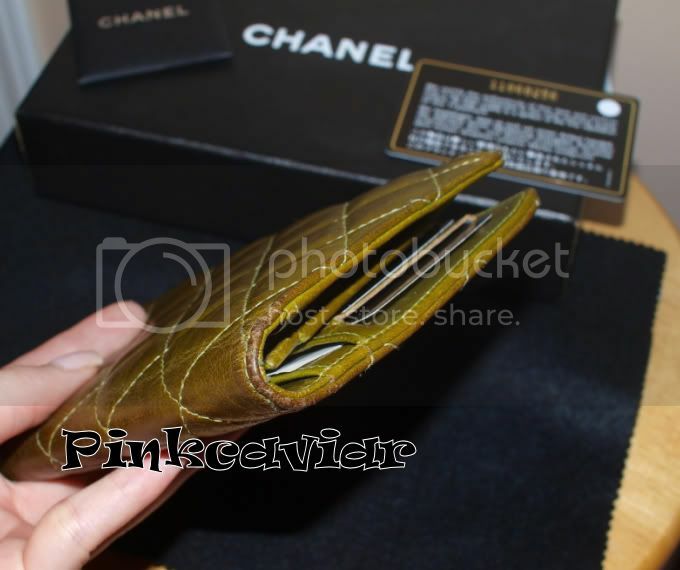 For example, there are some rubbing in the corners, card slots are loose, marks in the interior pocket by coins stains and other minor superficial flaws. I have taken as many pictures as possible, please reveal it carefully and if you need a certain angle, let me know. I don't use stock photos, what you see is what you'll receive. As you can see the color, llama skin has jagged lines and uneven pigmentation all around. They are naturally occurring and part of the leather even when new. 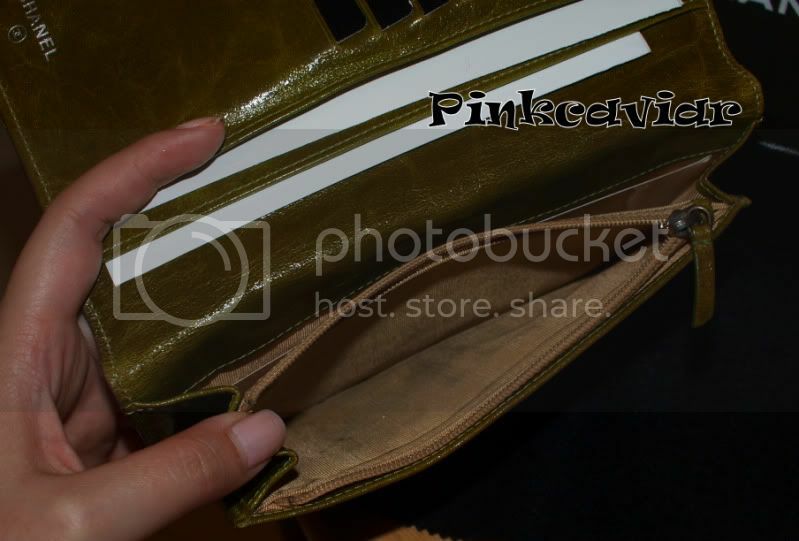 Wallet holds up really well with the glaze and is more durable then lambskin! Photocopy of the original receipt can be included by buyer's request. 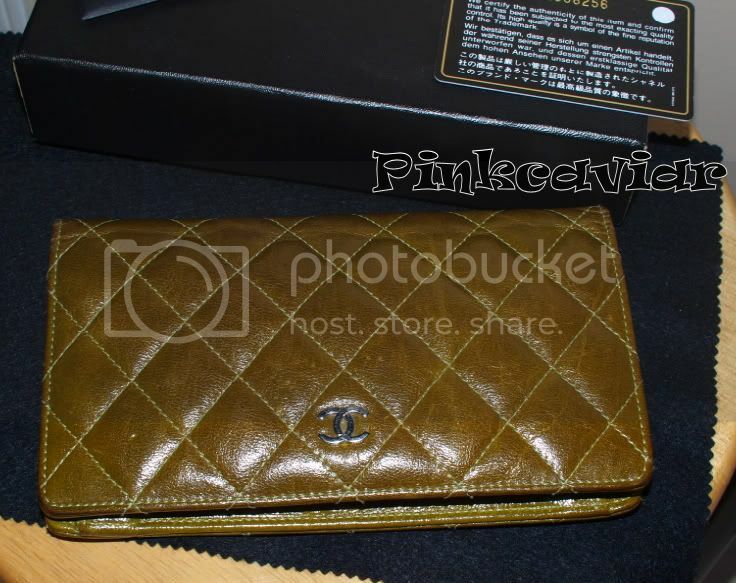 Wallet will be shipped with its original box, Chanel Card, tissue and stuffings. 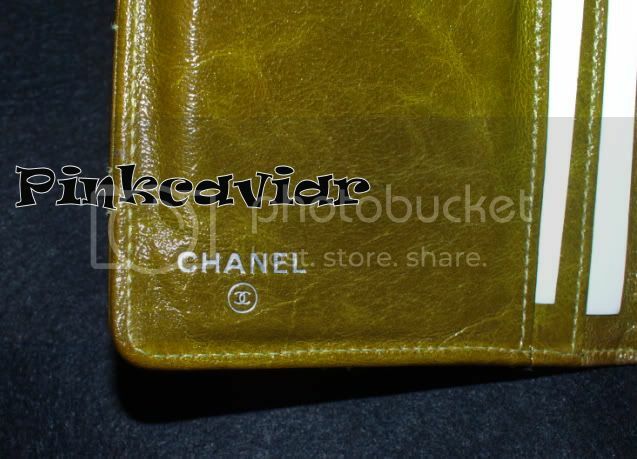 Rest assure, this wallet is 100% Guaranteed Authentic or your money back. 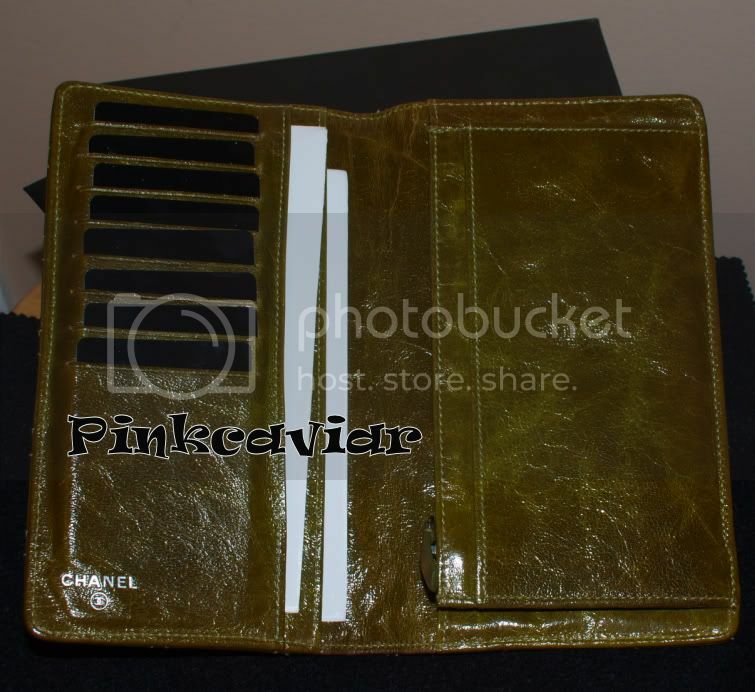 Winning bidder has the option of directly contacting www.caroldiva.com to personally authenticate this auction page. The fee ($5) will be reimbursed to the buyer upon their responds. In combination, authentication can also be issued through a written letter by a Manager (NO Sales Associate) if the item is found not to be authentic. Please have them call me while the bag is under their supervision. Furthermore, to prevent a bait and switch, a security tag has been fastened at the bag. The tag will be served as a binding agreement between the buyer and seller; if you're not satisfied with the item due to authenticity -simply do not remove the lock or tag and have it authenticated. If the lock or tag is found to be tampered, broken, or removed -the guarantee is void and no longer valid -no payment will be refunded. However, if you're complete satisfied and confident with the Authenticity of the bag (which you will be), you can remove the tag anytime. Thus, when the tag has been removed it proof you know it's authentic. 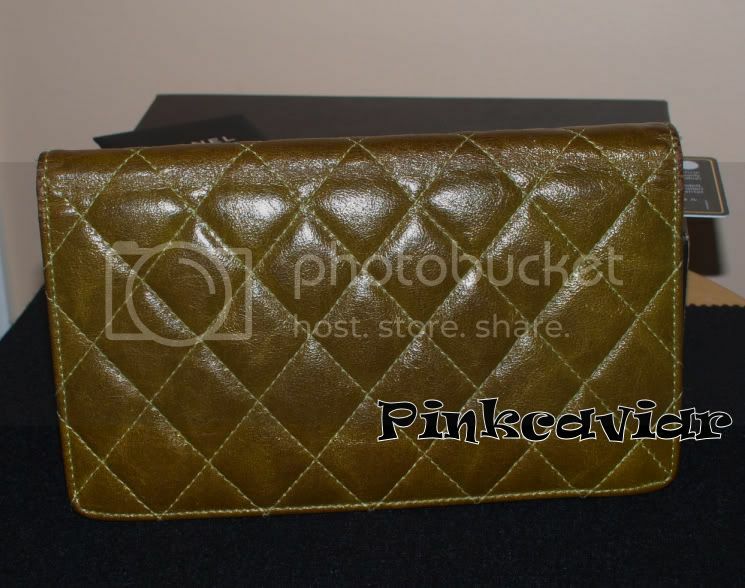 In addition, I'm a member of The Purse Forum (username: Pinkcaviar) you can PM via the forum to confirm.